Griffey Jr., Piazza Headed For Baseball's Hall Of Fame : The Two-Way In his first appearance on the ballot, Ken Griffey Jr. received 99.3 percent of the vote — the highest percentage ever. Mike Piazza got enough votes this year after falling 28 short in 2015. Ken Griffey Jr. (left) hugs his father, Ken Griffey, in 2014, after Griffey Jr. joined him in the Cincinnati Reds Hall of Fame. 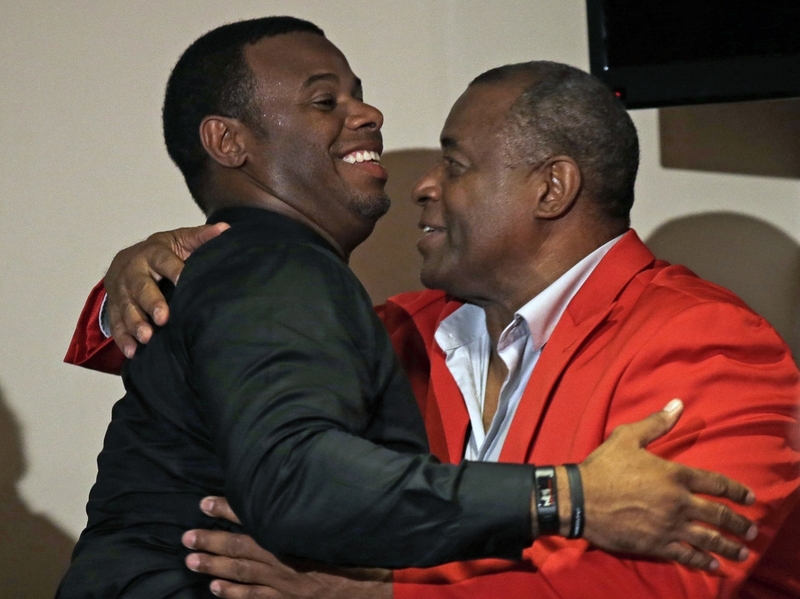 Now Griffey Jr. has been elected to the Baseball Hall of Fame. Griffey Jr. played in 13 All-Star games over his 22-year career with the Seattle Mariners, Cincinnati Reds and Chicago White Sox. His election was nearly unanimous; he was selected on 99.3 percent of the ballots cast. 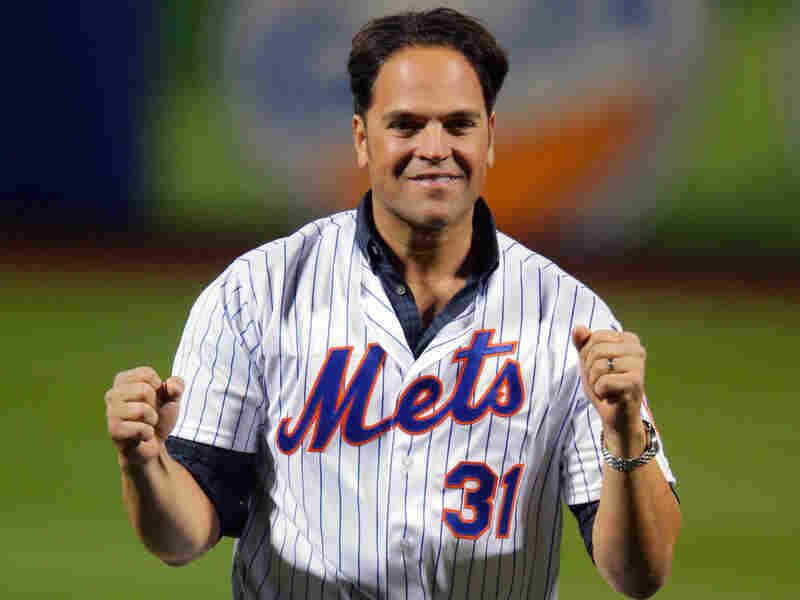 Former New York Met Mike Piazza celebrates last year after throwing out the first pitch in Game 3 of the World Series. He's been elected to the Baseball Hall of Fame. He's joined by slugger Mike Piazza, a 12-time All-Star who may have been the best-hitting catcher the game has ever seen. He hit better than .300 for nine consecutive seasons and slugged 427 home runs. Piazza was selected by 83 percent of Hall of Fame voters. Players are selected by members of the Baseball Writers Association of America. Griffey was elected in his first appearance on the ballot. Piazza made it on his fourth-time chance. Piazza and Griffey will be officially inducted into the Hall in Cooperstown, N.Y., on July 24.